Samsung has started sending out media invites for a September 19 event in India. The invite reveals that the South Korean company will launch a new Galaxy J series smartphone. 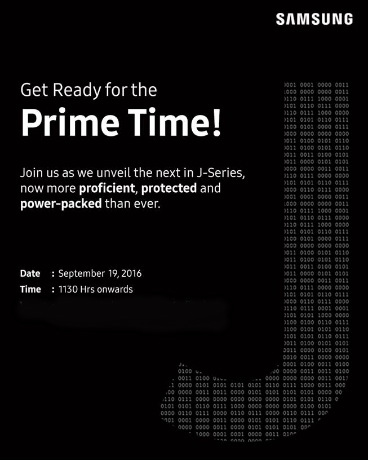 While the invite doesn’t reveal the name of the phone, the words “Prime Time” are enough to suggest that the star of the event will be the Galaxy J7 Prime that was recently launched in Vietnam. If you recall, there have already been rumors that the handset will be launched in India soon. As for price, the J7 Prime is said to carry a tag of INR 18,790 (around $285) in the country.